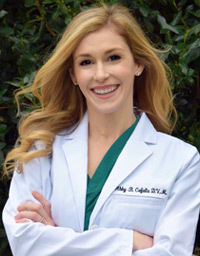 Dr. Abby Cefalu is a native of Morgan City and graduated Valedictorian of Central Catholic High School. 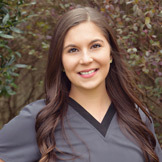 She attended Louisiana State University where she received her Bachelor of Science degree in Animal Science. 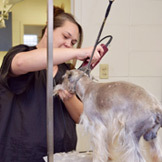 Dr. Cefalu is a graduate of LSU School of Veterinary Medicine. She is married to Dr. William Cefalu Jr. and they have two daughters named Ellis Marie and Amelie and a son named William. 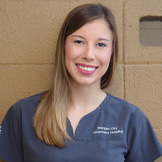 Prior to returning to her hometown of Morgan City, Dr. Cefalu worked as an emergency veterinarian at a small animal hospital in New Orleans. 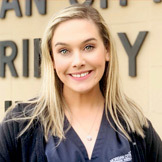 She is excited to be home and continue her lifelong dream of providing superb veterinary care to the citizens of our community. 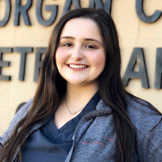 Dr. Leila Causbie is a long time resident of Morgan City. 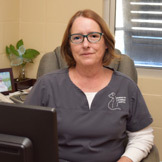 She is a 1986 graduate of Kansas State School of Veterinary Medicine and is married to Tom Ozio also of Morgan City. 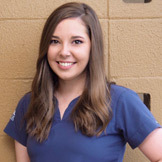 They have 2 children: Anna, who is a veterinarian at Lafourche Veterinary Hospital, and Marjorie, who is a CPA in the Houston area. They have 2 Labradors and 2 cats. 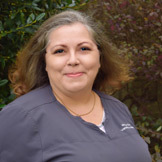 In Dr. Causbie's free time she enjoys jogging and gardening.